The Snark SN3 guitar tuner and metronome tunes acoustic, electric and bass guitars with Dead-on accuracy! 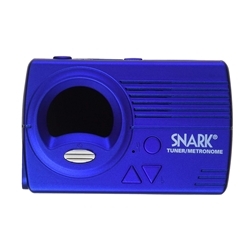 Tunes tighter so you sound better.Features:The Snark SN3 tuner has a full color display to provide a quick visual representation of your instruments tuning. Tune using built-in mic or input jack. Electronic pitch pipe. Tap Tempo Metronome. Built in speaker.